Note : Ubuntu Tweak Tool project has been discontinued. 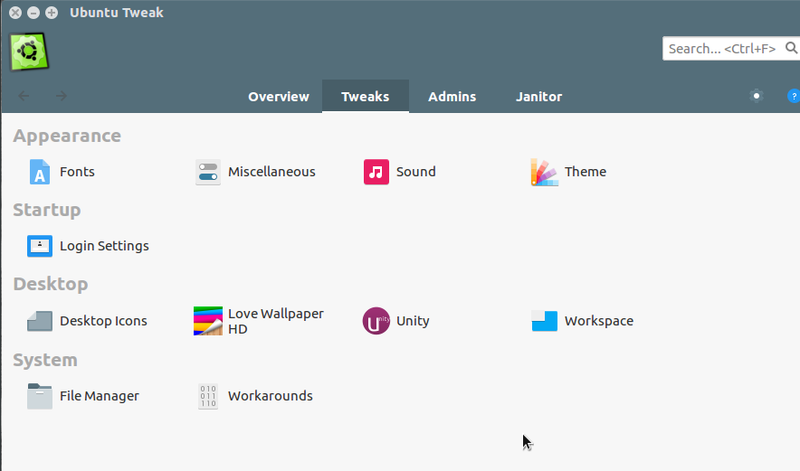 However, some users still find it a great tool to work with themes and some system properties. Ubuntu Tweak is a handy tool for making changes in configuration and desktop settings. It allows tweaks for desktop and system configuration which are not natively supported. I was trying some best Ubuntu themes for my Ubuntu 16.04 system and I missed the Ubuntu Tweak tool to pick up a theme once I installed it. There's a PPA still alive from where we can install Ubuntu Tweak Tool in Ubuntu 16.04 and for later releases. Let's see how you can do that too. Provides options to change themes and font. Under the Tweak Settings, there are options to choose Fonts, Sounds, Themes, login settings, desktop icons and much more. 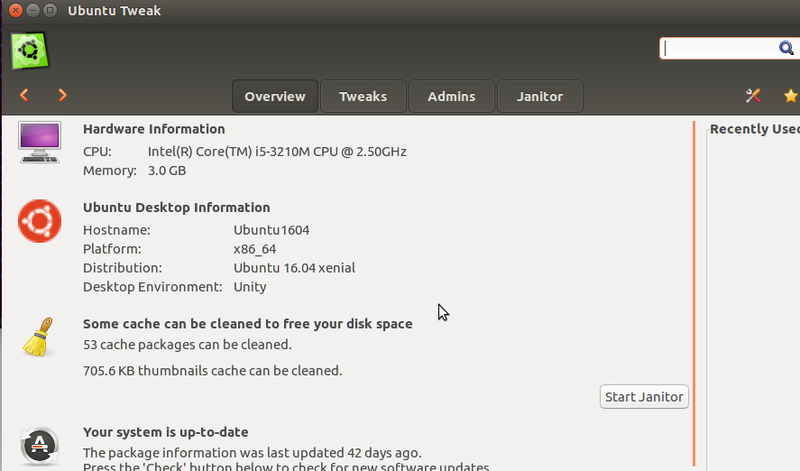 Janitor is an awesome feature from Ubuntu tweak tool to clean out cache and recover disk space. Once done, you can open Ubuntu tweak by searching it in Ubuntu Dash. There are various categories and options in Ubuntu Tweak. The Overview sections list your CPU and RAM along with Ubuntu OS information. The Tweaks tab is what is most important. Lets see what all things we can do. There are options to change Fonts, Sounds and Themes. Under themes, you can find options to select the cursor pack, icon pack and the themes you want to use. Manual themes can be set here. There are options for login screen, Desktop, Unity and System. 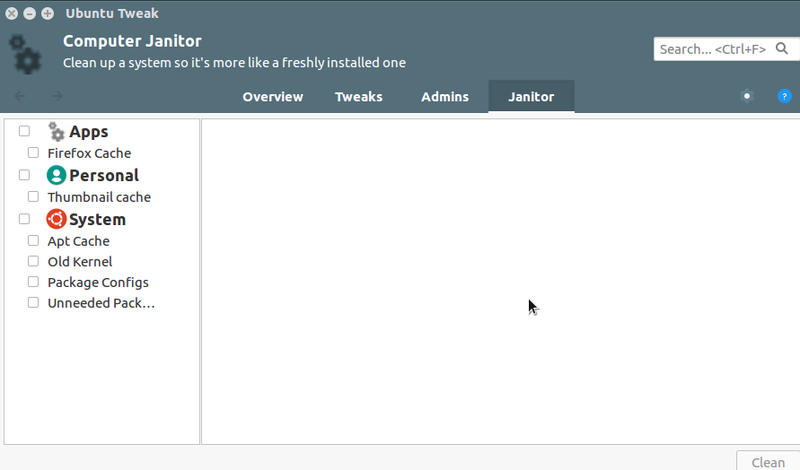 Another useful feature of Ubuntu Tweak Tool is the Janitor option. You can select the caches to clean for your browser and system and free up some disk storage. Once in a while I find it useful to clean up. Though the development for Ubuntu Tweak has stopped long way back, it is still a useful application to me. In my very personal opinion, it should have continued. It's sad to see such a useful application shutting down!